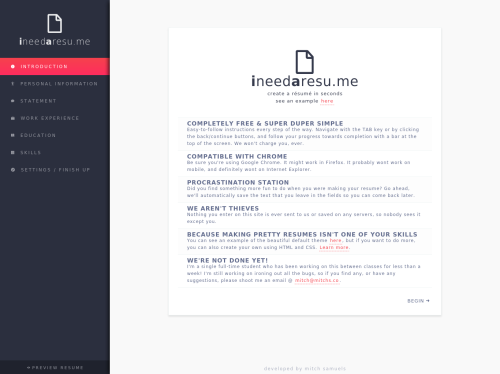 This is a beautiful, free, and super simple resume generator. It takes minutes to create a resume that will impress recruiters. It's also fully customizable - if you know HTML and CSS, you can make your own theme for it! The original idea was developed in a few hours between class, and since then I have been adding new features rapidly.